I'm interested in speaking at ProductTank NYC! Who should I get in touch with? Feel free to reach out to any one of the ProductTank NYC Organizers. or you can use this form to contact us. Can I come to ProductTank to lead a workshop? Our parent organization, Mind the Product provides workshops as a part of their service offerings. If you are interested in leading some workshops, please contact them to discuss further. What is your process for finding guest speakers? Good question! It really depends. 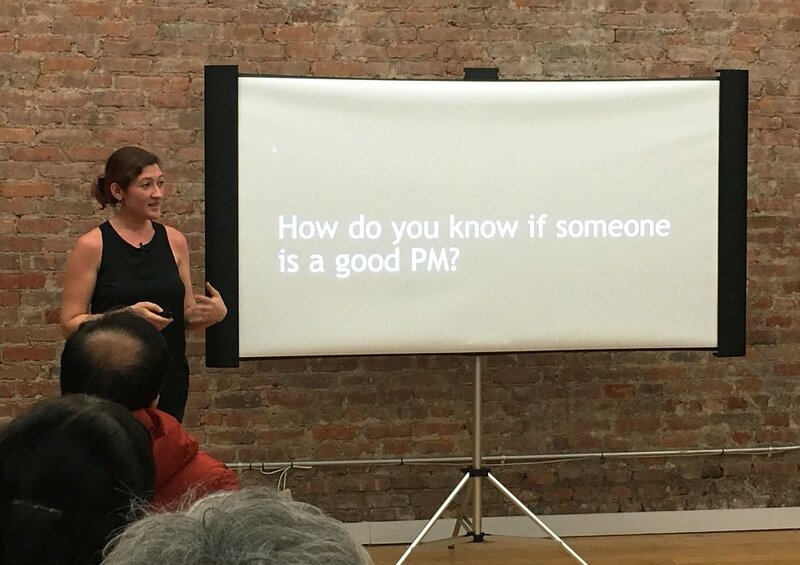 Sometimes we meet potential guest speakers during ProductTank NYC events, or at other events around New York City. We also get referrals from our parent organization Mind the Product, members of ProductTank NYC, or via colleagues or friends. Sometimes we would reach out to people of interest via LinkedIn or Twitter. Other times, individuals would introduce themselves and inquire about opportunities to be a guest speaker. The scenarios are potentially endless! Who are some of your favourite guest speakers? Typically we recommend presentations to last between 12 to 18 minutes. In our rare and special events where it is one guest speaker, it’s 40 minutes. For my presentation, what do you think I should talk about? 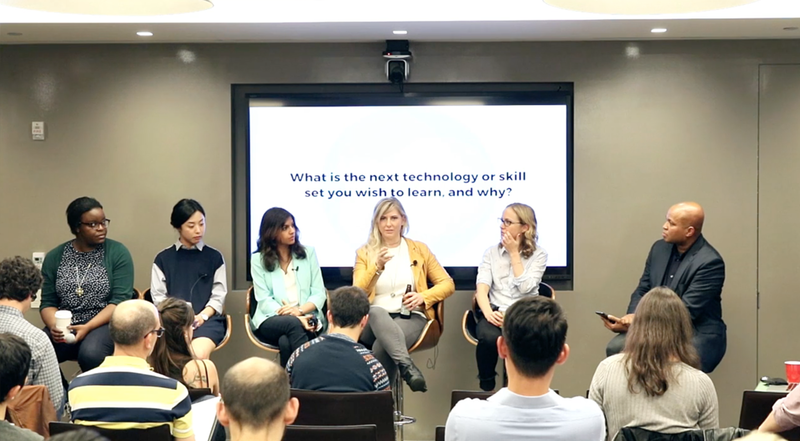 Talk about products you have worked on, your experiences as a product manager or product developer, preferred tools/methods, lessons you’ve learned…things of that nature. We even love to hear war stories about failures and successes, so feel free to share those if any. Which presentation software am I allowed to use? PowerPoint would be ideal. 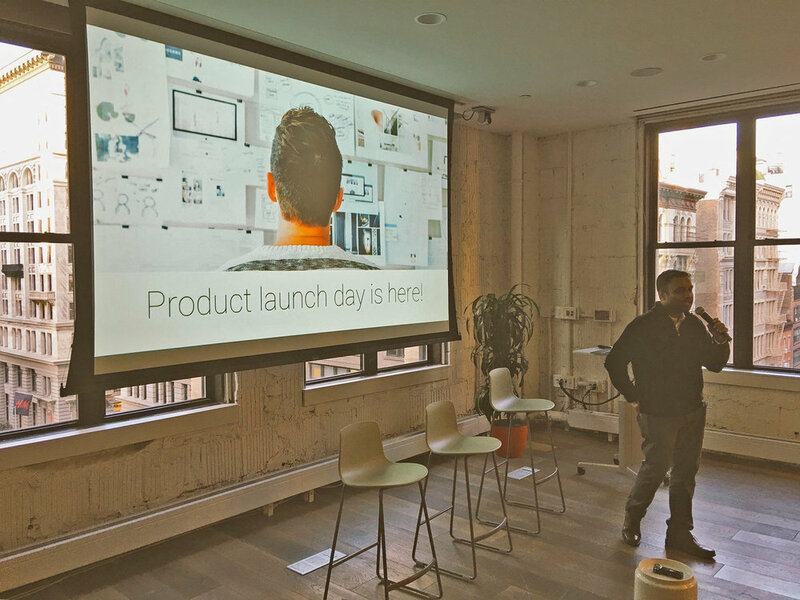 At ProductTank we like to combine all the guest speaker presentations into one event deck. By having one event deck we are able to move through the presentations and the overall event rather quickly. Can I use Keynote to do my presentation? Yes. You can use Keynote, and we will need a copy of the presentation in the Keynote file format or in a PDF format. Can I use any of the other following software to do my presentation? Do you video record the presentations? Yes. We video record our meetup events, unless you request otherwise. What if I can't do a presentation? Could I join a discussion panel instead? Yes! We also organize events using other formats. What will you do with the video recording? We publish a well polished video on the Mind the Product web site.